We have made an app for you! 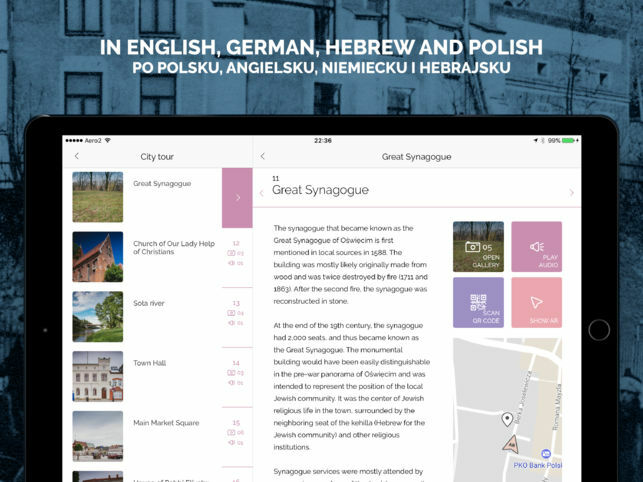 Download Oshpitzin on your smartphone or tablet to begin exploring the lost Jewish heritage in Oświęcim. 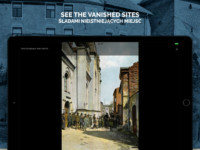 Visit the Jewish Museum and witness traces of the past while walking around Oświęcim. 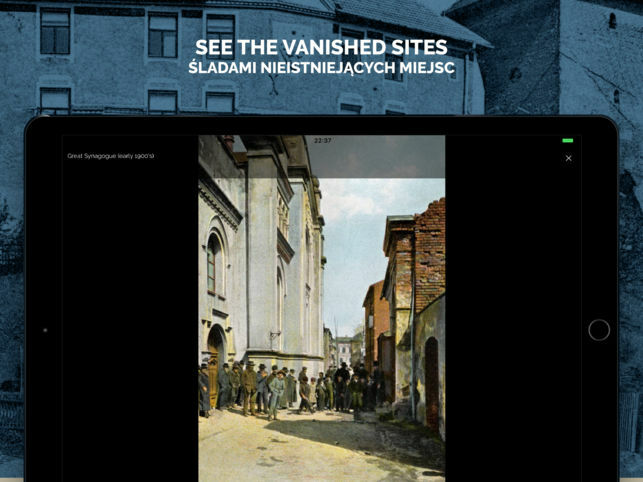 See the vanished Jewish world of synagogues, schools, stores, and places of daily life that existed before the Holocaust, in the Augmented Reality. Oshpitzin is also available in German, Hebrew and Polish.